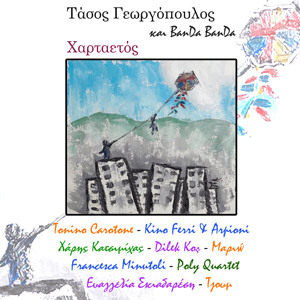 The new singer Tasos Georgopoulos in his second album “Hartaetos” takes us to a music trip round the Mediterranean as many great singers take part in this fresh production from Italy, Spain, Turkey and Greece that is Tonino Carotone, Arpioni &Kino Ferri, Dilek Kos, Panos Katsimihas and Mario. Many songs are already been played in the greek radio especially “Hartaetos” and “America”. Enjoy!